SmCo2:17 magnet is also called Sm2Co17. The SmCo2:17 is not suitable for complex shapes and thin thickness disc or ring wall. Because this character, there may be some appearance defects such as small chips during production, inspection and magnetizing process. However, it would not change its property; we consider them as qualified product. Magnetized SmCo products must be picked up carefully and gently during assemble process and kept away from ironware to avoid mutually attracting, causing chips and cracks. 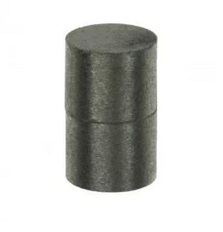 Sm2Co17 magnet is not easy to magnetize saturated, therefore, clients must be familiar with magnetization energy of their own magnetization equipments, to the effect that appropriate grade would be chose and products of company can be fully saturated. Please see magnetizing magnetic field of Application Technology for your reference. If customers need more details about Sm2Co17.